It is a unique pleasure and a great privilege to be invited to address this historic academic union. 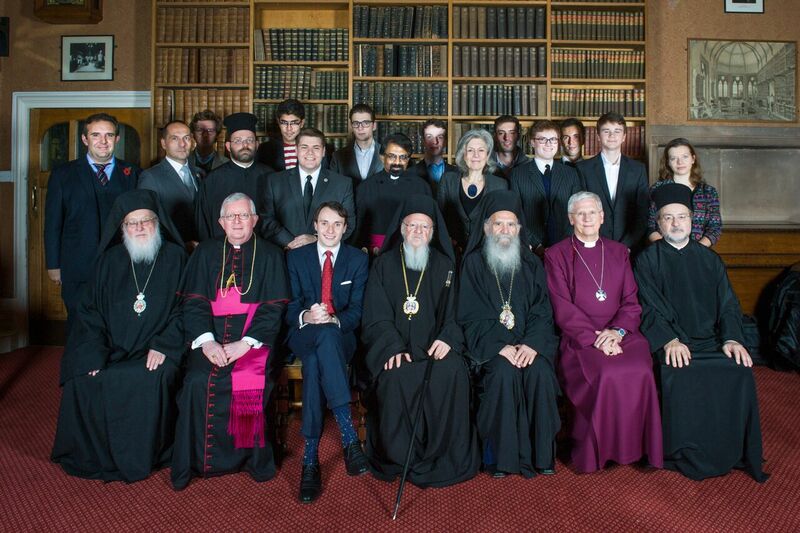 We express our wholehearted gratitude to our hosts and organizers of this exceptional opportunity in a city where over forty years ago, the official theological dialogue between the Orthodox Church and the Anglican Communion was established. Many of you will no doubt be surprised that a religious leader concerned with “spiritual” or pastoral values has been involved with “secular” or political issues. After all, what does preserving the planet have to do with saving the soul? It is widely assumed that climate change and the exploitation of natural resources are matters concerning scientists, technocrats and legislators. Yet, the preoccupation of the highest spiritual authority in the Orthodox Church, namely the Ecumenical Patriarchate, with the ecological crisis demonstrates that we cannot have two ways of looking at or responding to the world: religious on the one hand and worldly on the other. We cannot separate our concern for human dignity, human rights or social justice from concern for ecological protection, preservation and sustainability. These concerns are forged together, comprising an intertwining spiral that can either descend or ascend. If we value each individual made in the image of God, and if we value every particle of God’s creation, then we will care for each other and our world. In religious terms, the way we relate to nature and the biodiversity of creation directly reflects the way we relate to God and to our fellow human beings. We are now – like never before – in a position to choose charity over greed, and frugality over wastefulness in order to affirm our moral commitment to our neighbour and our respect toward the earth. Basic human rights – such as access to safe water, clean air and sufficient food – should be available to everyone without distinction or discrimination. This is also why, next month, we shall travel to Paris, which will be the center of the world’s attention and expectation, urging governmental leaders for long-overdue climate action at the United Nations Climate Change Conference. Dear friends, the first point that we would like to emphasize to you this evening is that religion has a positive and profound role to play in our world. There is a vital sign of our times at the beginning of this new millennium, and that is what we might call “the return of God” – that is to say, the reevaluation of the function and responsibility of religion in the public square. Religion today comprises a central dimension of human life, both on the personal and the social levels. No longer can religion be relegated to a matter of individual preference or private practice. Religion is becoming increasingly meaningful and momentous in appreciating the past, analyzing the present, and even assessing the future of our world. In our day, religion claims a public face and a social profile; and it is invited to participate in contemporary communal discourse. Indeed, even as we prepared our address for you today on the role of religion in raising awareness and responding to questions about climate change – an area where we have focused a great deal of our humble ministry over the last twenty-four years – the world is overwhelmed by an unprecedented human crisis with the flight and plight of hundreds of thousands of refugees from the Middle East, especially from Syria. We are nowadays facing a worldwide economic crisis and its social consequences are evident on a global scale. Ultimately, we regard this crisis as a “crisis of solidarity.” Yet, our Church has historically sought to build bridges of interfaith dialogue, ecological awareness and the culture of solidarity between diverse faiths and cultures, as well as between humanity and the natural environment. We are convinced that the future of humanity is related to the establishment of the culture of solidarity. Solidarity is a term that contains the very essence of social ethos, embracing the pillars of freedom, generosity and justice. It includes the struggle for a just society and the respect for human dignity beyond any division or discrimination of social class, economic status or ethnic origin. We are convinced that the future of humanity is closely related to a culture of solidarity. In many ways, we can speak of a crisis of solidarity and a crisis in the natural environment. The most serious contemporary threat against such a culture of solidarity is the prevailing economy – what we might call, the fundamentalism of market and profit. We are not qualified economists, but we are convinced that the purpose of economy should be for the service of humankind. It is not by coincidence that the terms economy and ecology share the same etymological root. 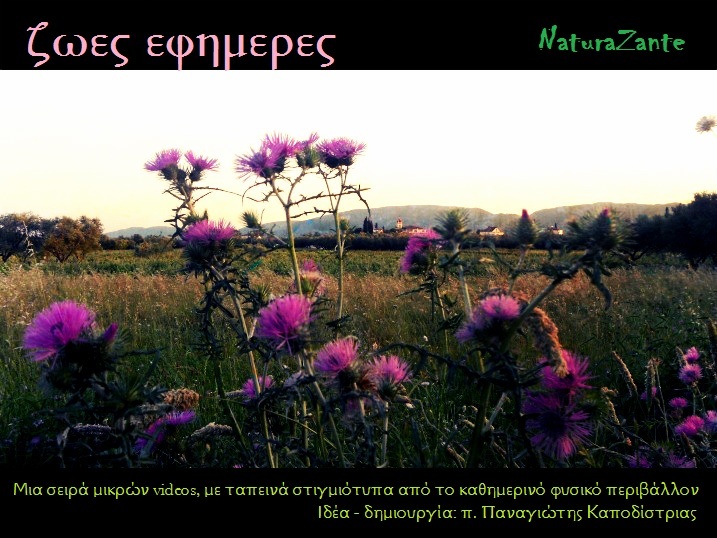 They contain the Greek word oikos (household). Oikonomia (or “economy”) involves the care or management of our household; oikologia (or “ecology”) implies the study and appreciation of our home; and, by extension, oikoumene (or our “ecumenical” imperative as churches and faith communities) demands maintaining and sustaining our world as a place where we can all live in harmony and justice. True faith does not release us from our responsibility to the world. On the contrary: it strengthens us to give a witness of reconciliation and peace. Thus, we reject any form of “economic reductionism,” the reduction of the human being merely to homo oeconomicus. In brief, we resist the transformation of society into a gigantic market, the subordination of the human person to the tyranny of consumerism, as well as the identification of “being” with “having” in society. Wealthy, industrialized countries have unquestionably contributed most to atmospheric pollution. In our effort, then, to contain and reverse global warming, we must honestly ask ourselves: Will we in the West, in more affluent countries, sacrifice our self-indulgence and consumerism? Will we direct our focus away from what we want to what the rest of the world needs? Will we recognize and assume our responsibility to leave a lighter footprint on this planet for them and for the sake of future generations? We must choose to care; otherwise, we do not really care at all. At stake is not just our respect for biodiversity, but our very survival. Scientists calculate that those most harmed by global warming in the future will be the most vulnerable and marginalized. 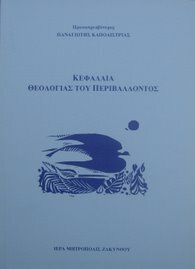 We know, then, that the ecological crisis is directly related to the ethical challenge of eliminating poverty and advocating human rights. The dignity and rights of human beings are intimately and integrally related to the beauty and – we would dare to say – the rights of the earth itself. After all, who will dare to speak for the voiceless resources of our planet? Who will step up to protect the silent diversity of its species? Will our generation accept responsibility for pushing our environment over the tipping-point? This underlines what we have been saying for almost three decades – namely, that global warming is a moral crisis and a moral challenge. It is a crisis about and within the human heart. The solution of the ecological problem is not only a matter of science, technology and politics but also, and perhaps primarily, a matter of radical change of mind, of new values, of a new ethos. For the Orthodox tradition, sin has a cosmic dimension and cosmological impact. 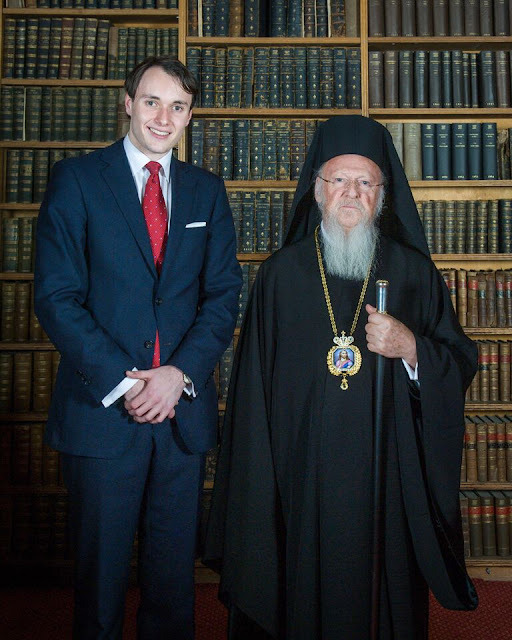 The theology of the Orthodox Church recognizes the natural creation as inseparable from the identity and destiny of humanity, inasmuch as every human action leaves a lasting imprint on the body of the earth. This means that human attitudes and behavior towards other people directly impact on and reflect human attitudes and behavior toward creation. This is why we use the term metanoia, which signifies a shift of mind, a total change of heart, to determine the transformation of our attitudes and actions toward our world. This is very important because, during the last century, a century of immense scientific progress, we also experienced the biggest destruction of the natural environment. Science will inform us about the world; but it cannot reach the depth of our soul and mind. Today, we know; and yet we still continue to act against our knowledge. Knowledge has unfortunately not resulted in metanoia. Dear friends, the future is open; and the choice is ours, yours. On the one hand, our world is indeed in crisis. Yet, on the other hand, never before in history have human beings had the opportunity to bring so many positive changes to so many people and to the global community. There has never been so much turmoil on our planet; but equally so, there has never been greater opportunity for communication, cooperation and dialogue. Interfaith dialogue, environmental awareness and the culture of solidarity are responsibilities that we owe not only to the present generation. Future generations are entitled to a world free from fanaticism and violence, unspoiled by pollution and natural devastation, a society that is a place of solidarity. This is the role and responsibility of religion. In conclusion, then, you will now appreciate why a religious leader is concerned with the ecological crisis. We are convinced that we must make the strongest possible call for change and justice at the Climate Conference in Paris next December. This is our ethical and honorable obligation; this is our word of promise and hope to the entire world. As we stand before you and look into your eyes, we draw a great deal of encouragement, inspiration and hope for a bright future. For your sacred task is undoubtedly to transmit to your colleagues a spirit of openness. It is you that will carry the responsibility for social values, for religion and culture, for freedom and justice, for the respect of otherness, for solidarity with humanity and with the whole of God’s creation. It is you that must educate our world about a vision of participation and a culture of sharing, of existence as coexistence and of life as communion. It is not too late to act, but we cannot afford to wait; we certainly cannot afford not to act. We all agree on the necessity to protect our planet’s natural resources, which are neither limitless nor negotiable. We are all in this together. People of faith must practice what they preach; citizens of the world must clearly voice their opinion; and political leaders must act urgently and decisively.